Designed by architect Oliver G. Traphagen, the city’s most distinguished and sought-after architect of the time, Duluth’s original city hall served as the center of city government and business from 1889 until 1926. It was built in brownstone in the popular Richardsonian Romanesque Revival style. Here is where the decision was made to build the Aerial Lift Bridge. Here was where Skyline Parkway was approved. Duluth became a fierce force of industry during the time politicians and business tycoons cut deals in its halls. During the Second World War, the building was the regional headquarters for the Red Cross. Today, the historic Third Floor, including the restored Council Chamber, the Snively Hall, and the former mayor’s office serve as compelling and beautiful event spaces. The Council Chamber is a glorious ballroom with period window treatments, glittering chandeliers, and original hardwood floors. Its stunning cloverleaf skylight is a restored period feature that immediately commands the eye. 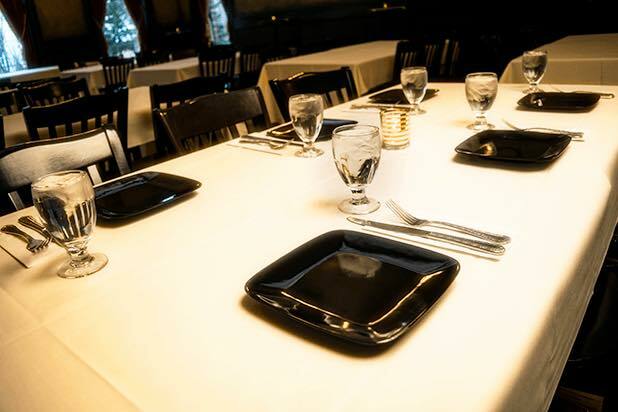 It can seat up to 75 for a dinner occasion like a wedding reception, company banquet, or fundraising gala. It can also accommodate 125 for a cocktails and hors d’oeuvres reception. The Snively Hall is named after Duluth’s longest-serving mayor, from 1921 until 1937. He was the last mayor to have an office in the building. Snively is largely remembered for the effort he put into the creation of numerous parks and boulevards throughout the city, particularly Seven Bridges Road and Skyline Parkway. We’ve named the spacious space between what was once his office and the Council Chamber after him. The hall is a spacious and inviting addition or stand-alone space for 50. With our preferred caterers and full bar service featuring Fitger’s Brewhouse ales and lagers and craft cocktails, your event will shine and provide memories for years to come. It’s an ideal space for a networking event, drinks and hors-d’oeuvres before a wedding or ceremony in the Council Chamber Ballroom, or a gathering before having dinner downstairs in the restaurant. Want a private dining experience? You can reserve the hall, we’ll set up a table for your group or just for you and your guest, and arrange a catered dinner for your special occasion, complete with your own private bartender. The historic third floor is the city’s most historic and unique event space downtown in the Historic Arts & Theatre district. With theaters, and the jewel of the Lakewalk all within walking distance of our location, booking your event here puts you in the middle of it all. Customized rates are available upon negotiation. A required 20% service charge is added to the pre-tax food and beverage amount.